Posted May 8th, 2013 by David Porter & filed under General, Hot Topics. In early April, but well after April Fools’ Day, Sky News were jumping up and down with a story of scientists decoding dreams, just like the film Inception (2010). Was this once again, science fiction becoming reality or a hyped up tale on a slow news day? In this case, it meant that Leonardo DiCaprio went into people’s dreams in order to change the past to affect the future. It was basically a time travel story, but wrapped up in such incredible effects that it soon became a classic movie of the new genre. Scientists today are not suggesting entering people’s dreams nor influencing their outcomes. At least not yet. There are many films dealing with memory, amnesia, changing memories that stick in the mind. Spellbound (1945), Momento (2000), The Long Kiss Goodnight (1996), Total Recall (1990), Dark City (1998), The Bourne Trilogy (2002-2007), 50 First Dates (2004), Finding Nemo (2003), Mulholland Drive (2001) and Eternal Sunshine of the Spotless Mind (2004) spring to mind, as far as I can recall. 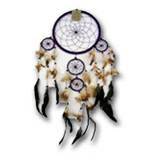 Throughout history the importance of dreams and nightmares has been acknowledged. The day dreamer is condemned in the school classroom, but praised when they dream up a new invention or solution to a problem. Besides influencing art, writing and music, dreams have affected people’s people and whole psychological profiles. And they still do, in most cultures. The sleeping person often shows outward signs of inner struggle, turmoil, journeying, terror or conflict. The notion that dreams can be captured somehow and used to replay later, or be helpful in predicting the future has till now remained on the future to-do list. 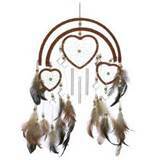 The term goes back to some Native American cultures, where a dream-catcher was a handmade object like a hoop decorated with sacred feathers and beads, that was meant to figuratively and in some cases literally ‘snare’ the dreams. So What Have They Invented Now? They can read dreams by an MRI scanner monitoring brain activity. So is it down to interpretation rather than actually knowing what is inside a dreamer? Volunteers were regularly woken and asked to describe the images they’d seen in the first moments of lighter sleep. Whatever they said was then matched with their brain parts scanned as active, and grouped into ‘broad categories’, like words or books or people. Photos from the web were then shown to them until they found corresponding images. The Japanese scientists then discovered they were 60% accurate in predicting the images of each volunteer. Presumably that will improve as they get ever bigger banks of images and perhaps the same volunteers are susceptible to the same dreams. The recurring images, fears, worries and dreads often crop up when we go to sleep stressed. Fear of work situations, people, losing a child/parent or anything. He said it as if we shouldn’t make up our dreams on waking. What if we do? Does it matter? Shouldn’t we be leaving well alone in people’s private thoughts, unless they are mentally ill and/or ask for help?